IED Archive: Threat and reality amid media overload. 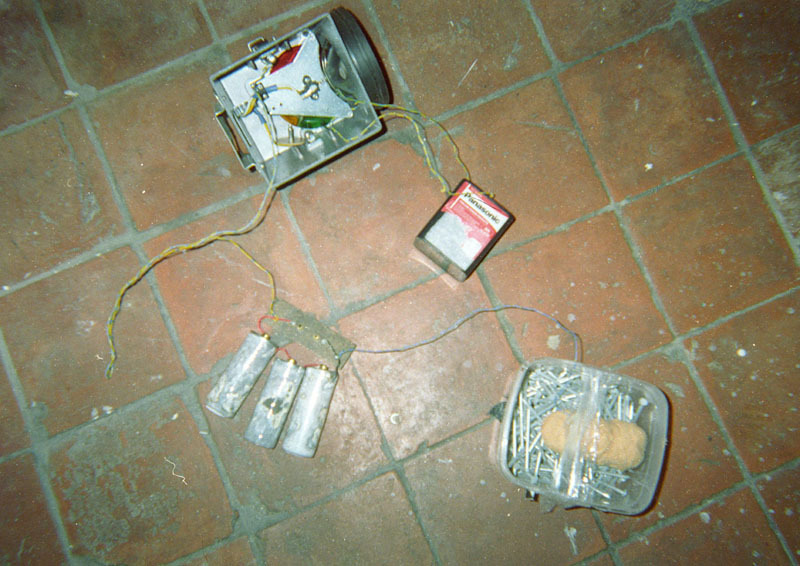 IED (Improvised Explosive Devise) Archive is a collection of devices constructed using imagery and information freely available to the public internet user. The proliferation of media information coupled with an absence of certainty induces a fear reflex in the viewer that is transposed onto inanimate objects. Inability to make rational risk assessment and judge the form danger may take produces emotionally laden reactions and breeds paranoia. The collections may or may not pose a justified threat. Improvisation blurs our ability to be certain. Each IED is unique. Each collection could be an IED... or just a random collection of innocent objects.